What is dfx file? How to open dfx files? File extension dfx appears to be mostly related to some kind of effect setting file for old program called Micrografx Designer that was available before the developer was acquired by Corel. 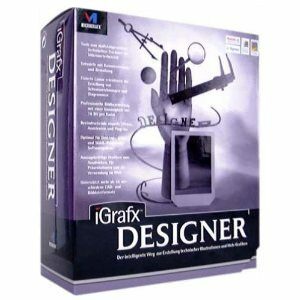 iGrafx Designer is vector-based drawing software. iGrafx Designer is able to create CAD vectors as well vector illustration graphics. It contains 55 Import/Export filters including support for DWG/DXF, CGM, DGN, PDF, CDR, IGES, EPS etc. A new product of the same name is now available by Corel. 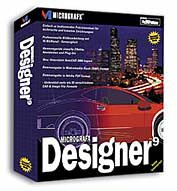 Micrografx Designer was a software for creation of engineering drawings. It was later sold to Corel and its successor product is now available as Corel Designer Technical Suite. Use Micrografx Designer to open *.dfx effects files. A conversion of any kind for this particular file type seems unlikely. and possible program actions that can be done with the file: like open dfx file, edit dfx file, convert dfx file, view dfx file, play dfx file etc. (if exist software for corresponding action in File-Extensions.org's database). Click on the tab below to simply browse between the application actions, to quickly get a list of recommended software, which is able to perform the specified software action, such as opening, editing or converting dfx files. Programs supporting the exension dfx on the main platforms Windows, Mac, Linux or mobile. Click on the link to get more information about listed programs for open dfx file action. Programs supporting the exension dfx on the main platforms Windows, Mac, Linux or mobile. Click on the link to get more information about listed programs for create dfx file action. Programs supporting the exension dfx on the main platforms Windows, Mac, Linux or mobile. Click on the link to get more information about listed programs for settings dfx file action.